Michael Cohen's surprise admission that he was in talks with Russia about building a Trump Tower in Moscow in June 2016 is "politically problematic", says expert Mark Zaid. Michael Cohen's surprise admission that he was in talks with Russia about building a Trump Tower in Moscow in June 2016 is "politically problematic," says national security law expert Mark Zaid. 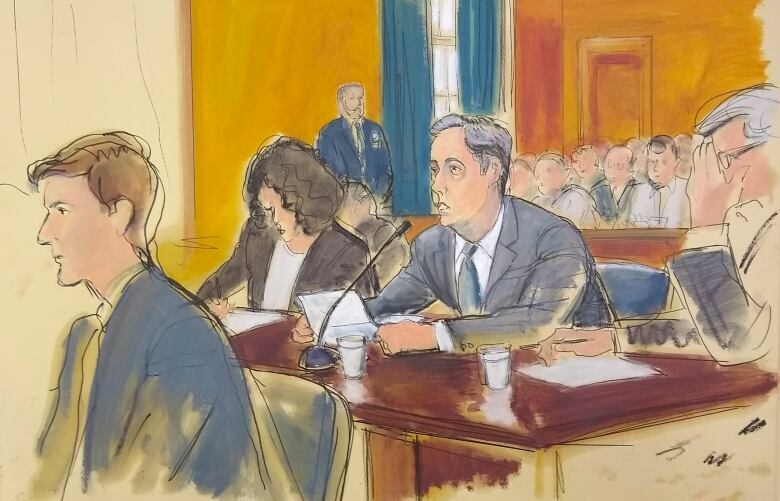 Cohen, U.S. President Donald Trump's former lawyer, made a surprise appearance in a New York City court Thursday where he pleaded guilty to lying to Congress about a plan to build the tower in Russia. Cohen said that among other lies, he told Congress that all discussions of the Moscow Trump Tower project ended by January 2016, when they had actually continued until June of that year, as Trump was securing the Republican nomination for president. 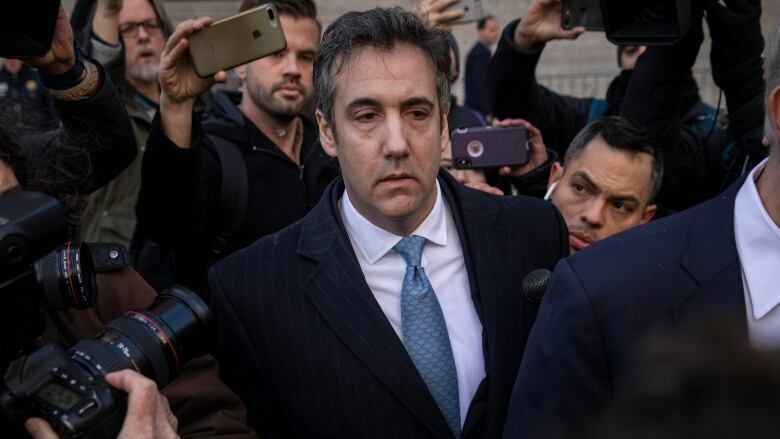 Cohen pleaded guilty in August to eight separate charges, including campaign finance violations that he said he carried out in co-ordination with Trump. Zaid, a lawyer who specializes in litigation relating to national security and international transactions and crimes, spoke with As It Happens host Carol Off about what Cohen's admission means for Trump. What have you learned in the statement of Mr. Cohen's ... admission, about the Trump Tower Moscow arrangement that? I think one of the things that's fascinating is that there were apparently substantive conversations about having Donald Trump actually go visit Moscow, including Putin, post-nomination, post-Republican convention. But Michael Cohen goes beyond that in saying that he had lied previously and … now saying what he says is the truth. It's not just that the arrangement was a business deal of a hotel. It went beyond that. It was political, right? There was clear insinuation that this was going to possibly go beyond a Trump hotel or a Trump building, Trump Tower in Moscow, and whether or not the Russians could even do anything to help. There's no specifics that were made privy to as to what those details might be, what kind of help the Russians could provide, what other matters might have been on the table. But you can certainly insinuate when Donald Trump was about to be the nominee for the Republican presidency that it had something to do with politics well beyond just finances. Cohen had previously said that he never actually had a conversation with a key member of the Putin administration, a man named Dmitry Peskov. He's now changed that information. What we have now learned about how much contact he had with Mr. Peskov? Apparently, he had quite a number of contacts. It further shows not just the depth of contact with Russian government officials in the inner circle of Vladimir Putin, but that it continued most importantly through the political process when Trump was running for the nomination. So that brings the bar closer to the possibility of any type of collusion. Mr. Trump is saying that that Michael Cohen is lying about all this, but his testimony or the statement he has given indicates he was lying before. Why was he lying before? Supposedly, at least from what we have seen from the documents that have been released by the special counsel's office, it was done in order to protect the president. And I should say, at least in looking through the information that was released, it doesn't look on its face that any of these negotiations with Russia about possible business dealings that anything around those were illegal or problematic. It was politically problematic and the illegality of the conduct arose from Michael Cohen lying about it before Congress, which is a federal offence. All of this is damning, except where's the connection between this and Mr. Trump? How do we know that Donald Trump actually knew about any of this? We've not seen any documents yet that have Trump himself on them. It may come through other testimony that comes about from other people, whether through other plea arrangements, if that's how it goes, or trials or testimony that's already been given. But right now we have, at least from today, an indication that when Michael Cohen said he had only spoken to individual one — who is clearly Donald Trump in this charging document — that he'd only spoken to him on three occasions, that that was a lie. Just finally, if this is a puzzle that Special Counsel Robert Mueller is slowly putting together piece by piece, how significant are the pieces of puzzle that we've seen today? I think one of the things that today's plea signified is that anyone who keeps saying we're at the end or there's nothing new to be found or will be revealed ... doesn't really know what they're talking about. 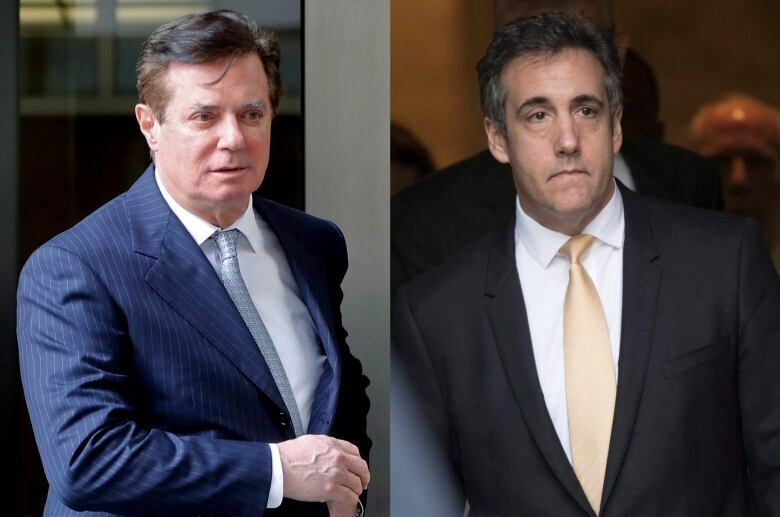 Who thought that Michael Cohen was going to have another guilty plea in connection to this investigation? It's yet to be seen, frankly, what the final picture will be. The picture can be legal. It can be political. It could become both. Written by Sarah Jackson with files from Associated Press. Produced by Ashley Mak. Q&A has been edited for length and clarity.